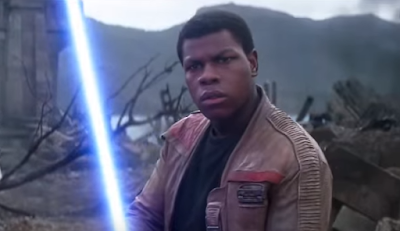 In case you hadn't heard there's a small movie premiering on December 18 called 'Star Wars: The Force Awakens.' Some kind of sci-fi flick starring some old actors and some new young actors. To make sure you're aware Lucasfilm has released a fifth TV spot featuring even more new footage with Finn (John Boyega) as its star. Mark your calendars this movie might be huge.